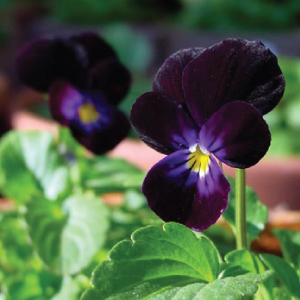 Violas are hardy early bloomers that look similar to their cousin, the Pansy. These plants produce little dainty flowers that have a sweet fragrance. Enjoy these blooms from sprint to summer. These winter-hardy plants will even bloom all winter in southern areas! 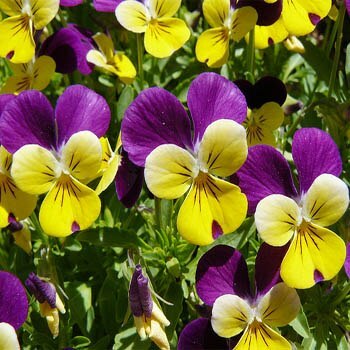 The Johnny Jump Up Viola is a beautiful little flower that will bring charm and grace to any summer landscape or hanging basket!